To be your own life coach and keep yourself on track towards the things you want in life, there are a variety of self-coaching tools on this page to draw from. Use the personal growth tools below to find insight and inspiration to coach yourself and navigate any situation. Keep in mind that these self-help tools will only be as good as the use you make of them. Use them often, use them well, and benefits will surely be yours. One-on-one life coach help tops the pyramid of professional support offered at Evolutionary Pathways. Of course not everyone is ready for the commitment and cost of full-service life coaching, nor does everyone require this level of support towards their endeavors. Immediately below you will find a number of excellent self-coaching solutions - providing great value at a fraction of the cost of working with a professional coach. The basic version of the co-active 'ThinkPal', for example, is absolutely free. The 'ThinkPal' is a life coaching tool you can download to your phone completely free of charge. 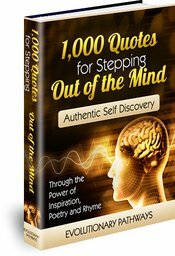 It is easy and straightforward to use and is equipped with some simple, yet profound exercises designed to bring clarity and insight to your life. Be your own life coach with the help of this powerful tool. It's great to go with the flow of life. Yet, there are times when setting goals to achieve is the most powerful way forward. This is especially true if what we aim for requires methodical planning and meeting clear milestones along the way. See how to set smart goals for all the information you'll ever need to set powerful and achievable goals that will excite, delight and motivate you on your way. Life changing questions are a cornerstone of not only effective coaching, but of self-coaching as well. The questions we ask - both ourselves and others - determine the quality of awareness we find. If we aren't finding a solution to a current problem or challenge, it may just be that we're failing to ask the right questions. Beyond the urgency of immediate problems or concerns, thought provoking questions for life expand awareness in many ways. It sends you exploring - questing. You never know... you may just find the lead to the answers you seek. To be your own life coach you need to find ways to bring yourself the inspiration and motivation for the life change you want. Immersing the mind in inspirational thoughts and sayings is a sure way to step out of the mind to elevate our energy and our own thinking. New pathways of thought and action open up for us. Quotes of inspiration are a powerful stepping stone towards positive life change. There are so many voices vying for our attention within. There are voices of our parents, friends and loved ones. There are voices of society at large. And there are voices of fear that come from looking at our past or our future. Yet, there is another voice within that is authentically present. It is the voice of the warrior within. That is the voice we find the very moment we step out of the mind. Ultimately, being your own life coach is about connecting with an inner wisdom and courage all your own. It is to connect with your authentic and inspired inner voice - your warrior within. Once this is accomplished you have inner guidance you can truly rely on. Who Are These Coaching Tools For? The mobile 'ThinkPal' or coach-in-your-pocket places inspiration and insight readily at your fingertips anywhere you go. Thought provoking questions and inspirational thoughts provide great environments for personal growth. They are strong catalysts for change. Inspired goal setting helps focus your energy, gives you direction and helps you achieve time sensitive objectives. Being your own life coach is to continuously adapt and move towards the life change you want. Use the self-coach tools above and many other life changing resources this website has to offer to do just that. An evolutionary path is well underway.